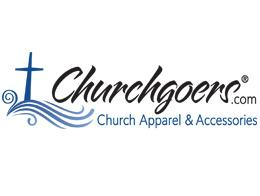 Churchgoers.com brings a fresh and innovative approach to providing church apparel and accessories serving both the domestic and international sectors. Our goal is to exceed the expectations of every customer by offering outstanding customer service, increased flexibility, and greater value, thus optimizing functionality and improving operation efficiency. Our employees are distinguished by their functional and religious expertise combined with their hands-on experience, thereby ensuring that all our valued customers receive the most effective and professional service. In order to meet the individual needs of our customers, Churchgoers.com maintains a wide range of qualifications. We excel in religious apparel, liturgical colors with symbolism, and extensive knowledge of religious practices. Exceptional functional and religious expertise coupled with extensive industry knowledge makes Churchgoers.com the ideal choice when it comes to purchasing church apparel and accessories. We are Christians and we run our business on Christian principles. We believe in running our business in harmony with God’s laws and he has blessed us and our employees.